A while ago, I had the great honour of being selected from a large group of flash fiction writers to participate in a charity publication. 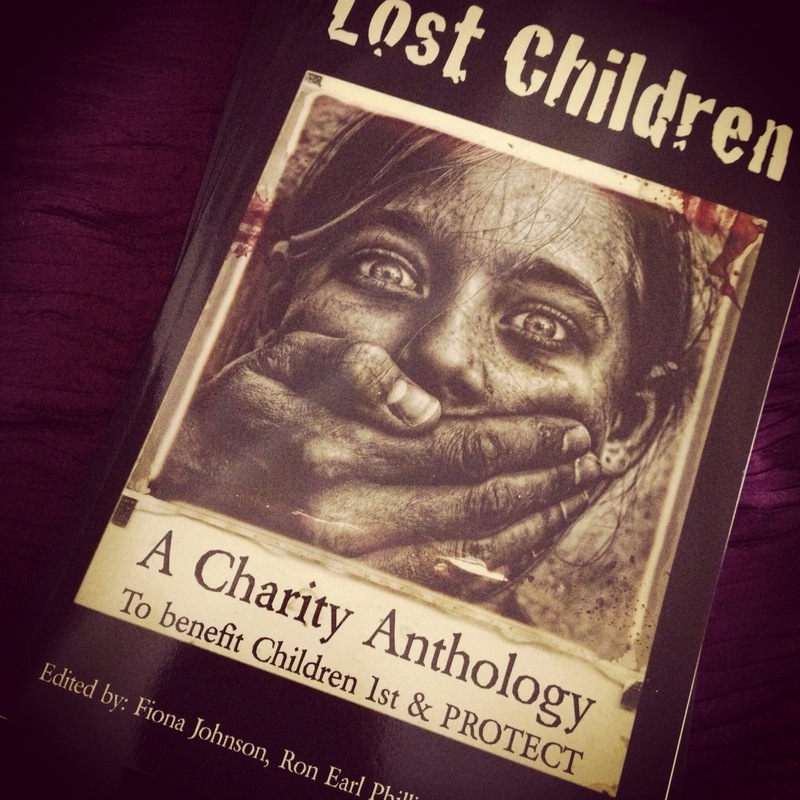 The book; 'Lost Children: A Charity Anthology', is being sold in paperback format at Amazon, Smashwords and the Book depository, and as an e-book in so many other places I can't really be bothered to list them all (if you want to know go here!). The proceeds of the sales go to two childrens charities; PROTECT, a US based charity, and Children 1st, a Scottish charity. I was extremely grateful for this opportunity, not only because I had my story published, but because I feel so passionately about the need for children's needs to be recognised, acknowledged and met! For many years I've worked with children and parents to try and promote emotional responsiveness to children's needs. Often the greatest harm done to children is when their emotional and psychological needs for security and recognition are not met. Simply keeping a child alive is not enough, and that is what I wrote about for my contribution to this anthology. My story, 'The Pretty Girl' is one of thirty pieces of flash fiction in this anthology. The brief we were given for our stories was to write about child suffering without any explicit references to violence against children. This book is about the dark side of childhood - something many people don't want to think about - a topic which desperately needs global recognition and action to end! Did I mention I was the only Australian writer to be included in this book??? Well, now I have! That is partly why I'm giving away a signed copy of the book - I need to know someone else in Australia has a copy of it, you know besides my mum and my husband! So, I've bought a copy for one of my readers! I paid retail for it, so the charities would get something from the sale of this copy, too. If you want a chance to win this signed copy leave a comment telling me what you would do for Australia's children if you were in a position of power! The winner will be drawn at random because I think everything we do, no matter how small or seemingly insignificant, to protect and support children we come into contact with makes a world of difference to every child's life! I'm giving the book away on the Grumpy Old Man's birthday because, well, just because! I detest drawn out competitions and his birthday popped into my head, so there you have it! Hi guys! Thanks for entering!!! I was beginning to worry that I couldn't even GIVE my book away, hahaha! Great ideas for supporting children's needs! Everyone needs to know how to read. The written word opens up such a world of possibilities. A worthy use of time. Properly trained and accredited psychologists, counsellors and social workers in every primary and secondary school. Access to all allied health professionals such as the aforementioned, plus speech therapists, early intervention workers, teacher aides, occupational therapists, disability support workers etc without the looooong waiting lists. Man this is a tough one, what wouldn't I do for the kids if I had the power? Essentially I would make sure that they all had a safe loving environment in which to grow ensuring they have the opportunity to be nurtured and grow into all that they can.